Our team was established in 2008 with grants from our main team sponsor Xerox and from the FIRST organization. Since our inception, our team has grown each year. We currently have 15 students grades 9-12 and 11 mentors. Our team uses the technology facilities at Canandaigua Academy to hold our meetings, create team paraphernalia, and design and build our robot. Our season typically goes from September through April. From September to January the team participates in fundraising activities, such as our bowling fundraiser, and competes in small competitions (Ra Cha Cha Ruckus and Xylem: Lets Solve Water) to gear up for the upcoming build season. Our main build season lasts from our kick-off date in the beginning of January until the end of February. 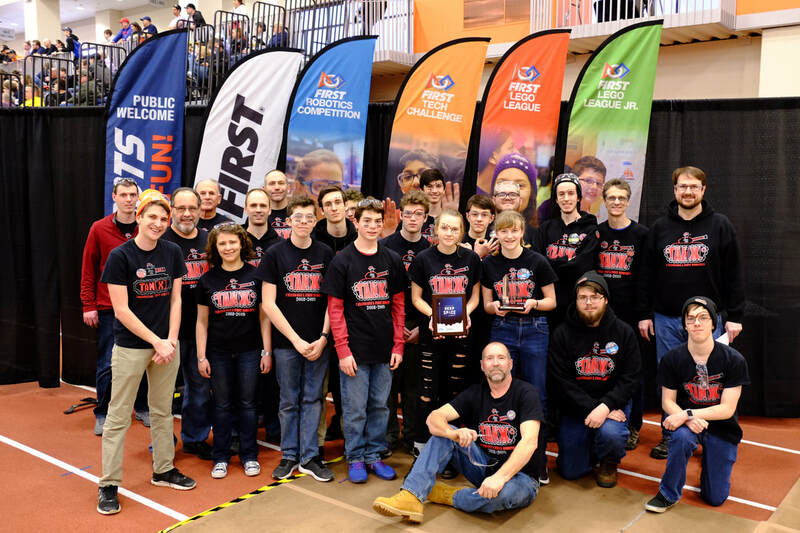 In March and April the team annually participates in the Finger Lakes Regional hosted by RIT, competing for a spot at the National Championship. 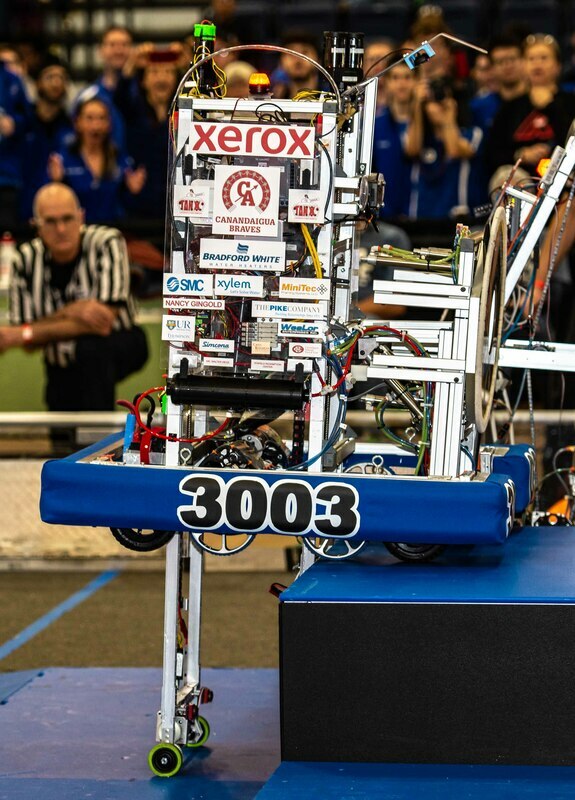 Each of our team members contribute many hours of their time during our robotics season. Depending on participation level, each student commits over 150 hours of their time, including, after school, night, and weekends. Our final push of the build season usually lands on our February break. Many students will also use that time to ensure that our team and robot is competition ready. Being part of FIRST also includes participating and giving back to our community. Our team members individually participate in many hours of community service. Through our fundraisers and community demonstrations (ex. Love Your Schools Rally and Memorial Day Parade) our team spreads the word about our program to the community. Please contact the team if you have any opportunities for our team to get involved with the community.